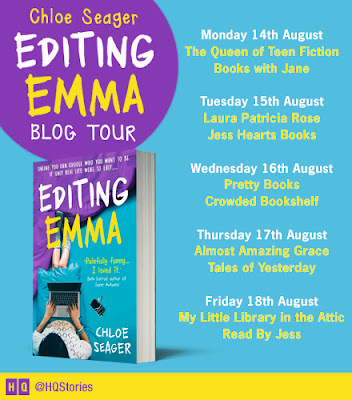 BLOG TOUR: Guest Post from Chloe Seager and Review of Editing Emma! Hello my fellow booknerds! 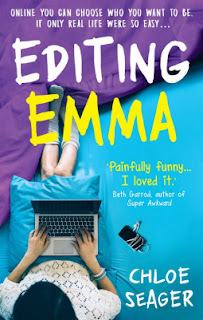 Today is my stop on the blog tour for Editing Emma. 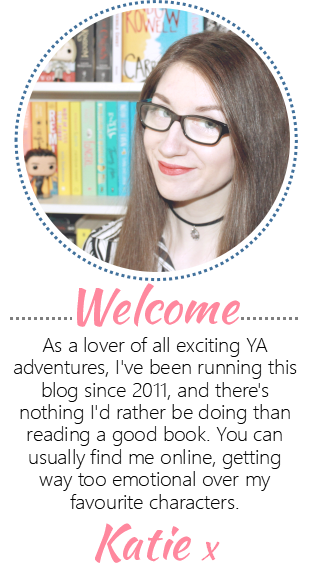 I'm super excited to share this hilarious guest post from Chloe Seager, and my thoughts on her new novel! Growing up, I had so many embarrassing moments that sometimes, when people ask me, it’s hard to think of just one. My teenage life was basically just one huge blur of embarrassment. But after having a skim through my diaries, I’ve got what is hopefully a cringeworthy enough selection for you to laugh at, and for me to relive the pain. I’ve already spoken about this in public, so, might as well immortalise it on the internet. I’d been partnered with the boy I fancied for a project, and I was So. Excited. Having an excuse to actually meet up with him after school and be within three feet of him was pretty much all I could think about for days. Finally, the moment came… After school one day, we got together. Just me and him, alone, in a dark, dingy classroom. I was convinced this was going to be the moment. He was finally going to see me in a different light, and the exciting, secret after-school kissing sessions were bound to commence immediately. I got my pen and pad out, ready to dazzle with my intellect, wit and thoughtful insights on the project. But after about ten minutes or so, I started to get the feeling we weren’t going to be kissing any time soon. He seemed a bit awkward for one thing, and wouldn’t look me in the eye. Not so uncommon with teenage boys in general, but this guy was usually quite confident and friendly. I started to think, what is it? What’s wrong? Do I have something on my face? And then I clocked it, the ‘pen’ that I’d got out of my bag was not a pen at all. I bet I looked super intellectual, witty and ready to dazzle with thoughtful insights, poised with that in my hand. I went a deep shade of red and put it away IMMEDIATELY, and he pretended not to see. We both never mentioned it and, quelle surprise, whether it was because of the tampon or not, we never ended up having exciting, secret after-school kissing sessions. My friend and I were bored one Saturday and so started taking photos, posing in our underwear (as you do). We uploaded them to the computer and had lots of fun editing them, being generally narcissistic and not yet realising how stupid we looked etc etc. The next day, my Mum was having a big printer meltdown - she’d accidentally printed out tons of stuff hanging about on our computer, and was screeching about paper wastage. I, of course, superior and bored with her technical issues, said to just turn everything around and put it back in the printer the other way, if she was so worried. It was, obviously, a picture of me in my underwear. FML. Each year, our school had a ‘house music’ competition, and I somehow got persuaded by my friends that it would be really fun to get involved. God knows how, because I can’t sing, dance or even really move without falling over. That, combined with my apathy towards rehearsals, made it a pretty big disaster. The night of the show rolled up and I remember thinking, can I back out now? 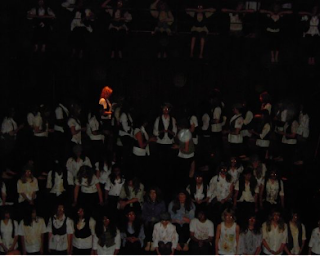 But my friends, once again, convinced me that no one would even pay attention to me… I was only part of the chorus, standing at the back, basically in darkness. So I went through with it, and it went fine (or so I thought). Sure, I made lots of mistakes and didn’t know what I was doing AT ALL, but my friends were right… I was at the back, and theoretically should have been in total darkness. But for some bizarre, unknown reason, people in the audience later told me that there was a strange spotlight, shining on one spot at the back… Juuuuust where I was standing. People kept coming over later and congratulating me on my ‘comedic performance,’ and I was all, ‘what???! What are you talking about?’ And they’d be all, ‘oh, weren’t you meant to be lit up, doing it wrong?’ It turns out that EVERYONE could see me, really, really clearly, in my strange little spotlight of humiliation. Here is a picture so you can see what I mean… That is me, at the back there. (Facing the wrong way, obviously). Thankfully, age twenty-five, I now realise that none of these things were actually a massive deal. So I can’t dance and everyone saw, so what? And if a tampon actually bothered that guy, then would I have wanted to date him anyway? (Categorically no.) But at the time I was convinced these moments were the worst things that could have ever happened. I think that’s what I hoped Emma would give some other teenage readers - knowledge that they’re not alone in their awkwardness, and the message that ultimately, these things really aren’t worth losing sleep over. 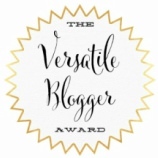 Huge thank you to Chloe for the fabulous guest post! 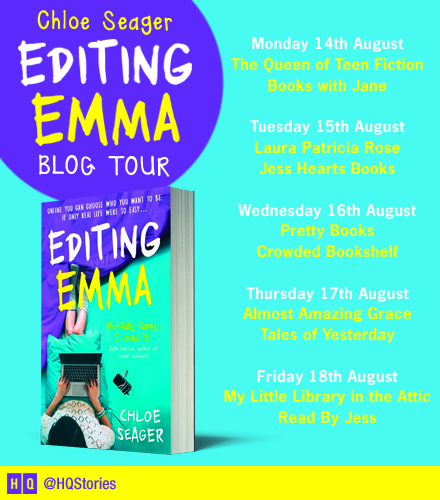 Be sure to check out the other blogs taking part in the tour this week, and scroll down for my thoughts on Editing Emma! Emma really can't catch a break. This story follows her after Leon, her former unconfirmed boyfriend, decides to start completely ignoring her, and then enters a Facebook official relationship with another girl at their school. To stop the constant thoughts of Leon, Emma decides to use her private blog and the online world to recreate herself. She wants to become the ideal Emma. 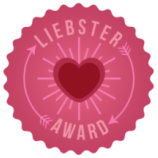 What follows is a whirlwind of dating disasters and wonderfully cringe-worthy moments. 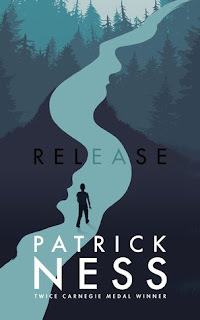 The reason why I really connected with this book is because it reminded me so much of the stories I used to devour throughout my school years. I adored anything written in a chatty, diary-style way with funny and relatable characters. As I've gotten older, I seem to have discovered less stories like this. Instead I seem to constantly be reading either fantasy or more serious stories. Not that books that deal with serious issues aren't super important because they are, but sometimes you really need a good, funny story in your life. A charming bit of escapism. And that's exactly what Editing Emma is. But it's also a little more grown up that some of the former books written in this sort of style. It's on top of the game when it comes to modern issues and situations that teens go through. For me, Emma is just one of those characters that you can't help but love. She's a little more than questionable at times, but everything that she does just adds to her overall charm. The story starts with her explaining her relationship with Leon and the heartbreak she's currently suffering because of him. I'll admit, with her moping about after losing Leon, especially when I didn't like his attitude from what we learn about him, I didn't take to her straight away. But this story had me in fits of giggles in no time. Honestly, I had one of those rare moments where I almost laughed on a train. In public. In front of actual people. During the early morning rush hour. This book is dangerous. Emma has a group of friends, Steph, Faith, and Gracie, and we get to know more about them as the story unfolds. Their conversations and the moments between them are brilliant. We even get their tweets and texts included, which add another interesting element to the story and it breaks up the blog writing. Whilst the story is told by Emma, I enjoyed getting to learn about her friends through her, especially Faith who, among all of the witty moments, had some important and heartfelt moments that I'm so glad were included. The various dating disasters that Emma has to face are hilarious. She has some serious guts to go ahead with some of the things that she does, I'll give her that! I don't want to say anything about how it turned out in the end, obviously, but I will say that I was so proud of the final blog post that Emma writes in this book. With such an interesting bunch of characters and so many laugh-out-loud moments, Editing Emma is perfect when you need a story to make you smile.